The backbone of any community is the organizations that help sustain it. Reservoir Hill is run by dedicated individuals and organizations that make our community the best place to live. 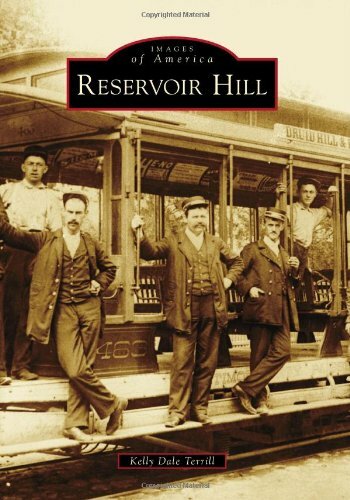 The Reservoir Hill Improvement Council serves as the representing organization for matters concerning all residents & interests within Reservoir Hill. The historic community of Reservoir Hill can trace its roots back to 1680. In fact, Reservoir Hill Improvement Council is today housed in the Birckhead mansion built around 1792. The stone mansion sits on a wooded hill at the corner of Park Avenue and Reservoir Street. In the late 19th century, Reservoir Hill grew to become a premier, turn of the century neighborhood, with a wide range of architectural styles. Reservoir Hill is home to artists, educators, and city leaders; contains historic churches and & a synagogue; boasts one of the most diverse, intact collections of late 19th and early 20th century urban architecture in Baltimore City; and borders beautiful Druid Hill Park. The community is an important part of the Jewish and African-American history of Baltimore. While Reservoir Hill has a deep history that can still be seen in its architecture, it is also a very vibrant, modern community with an urban farm that sells its produce right in the community, two community gardens, & a neighborhood school. Reservoir Hill is also an original Healthy Neighborhood. You will find that Reservoir Hill is a lively place with strong sense of community and a high level of civic engagement. Reservoir Hill & Penn North are combined into one Community Statistical Area.